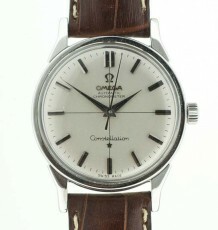 Omega Seamaster dress watch similar to the Omega Deville range made in the 1960's. This watch dates to 1962. An Omega Seamaster dress watch. 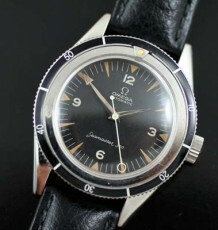 The case on this Omega Seamaster is the same as the models used on the vintage Omega Deville‘s dating to the 1960’s. 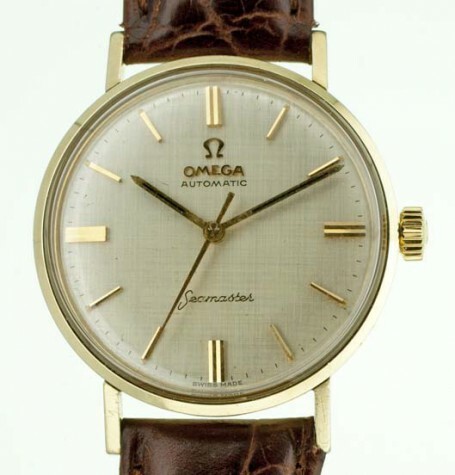 The watch features an original Omega dial with a wonderful linen textured pattern. 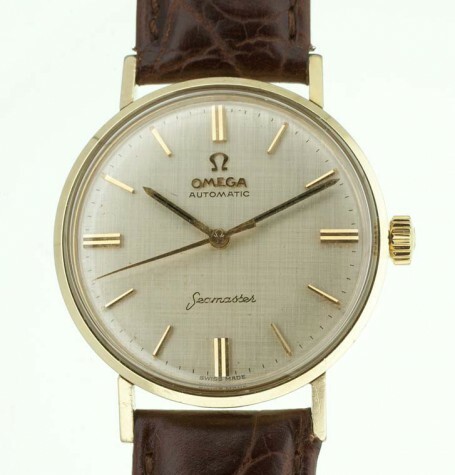 The dial uses gold stick hour markers and baton stick hands. 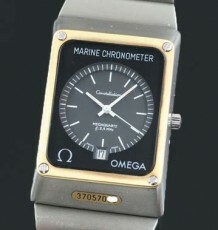 The watch case features a heavily embossed Sea-monster logo on the back as well as an original signed omega crown and original Omega signed acrylic crystal. 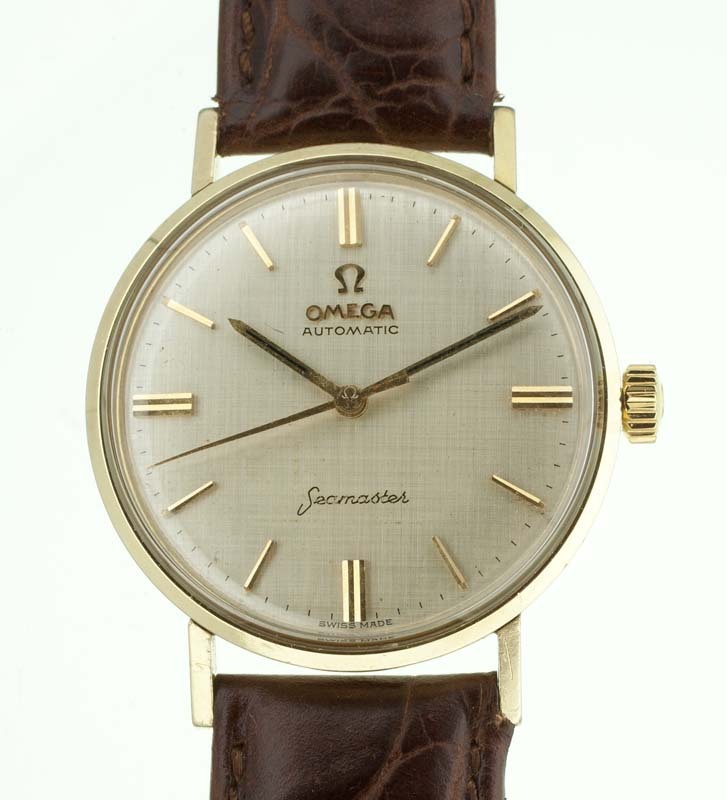 The movement fitted in the watch is a 17 jewel Omega calibre 550 automatic model. 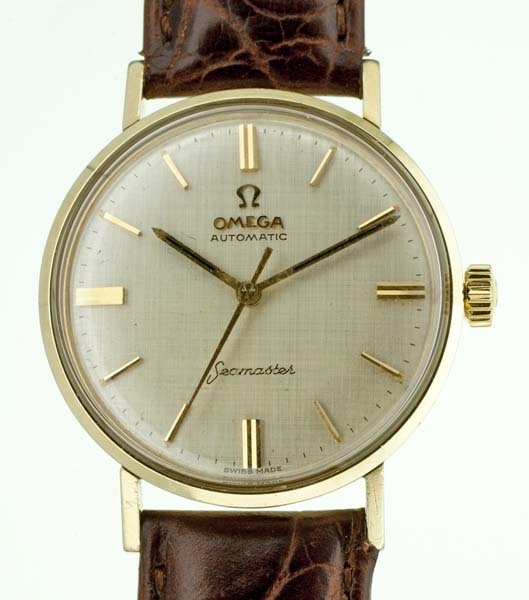 The movement was widely used in many of the Omega watches from this period and powers some of the many models including the Omega Seamaster 300 divers watch. 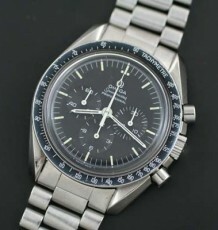 The movement has a serial number in the 19 million range dating it to 1962. 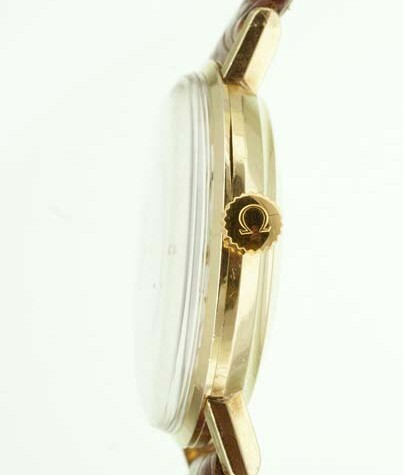 The gold capped case measures a solid gold bezel with gold capped case body. 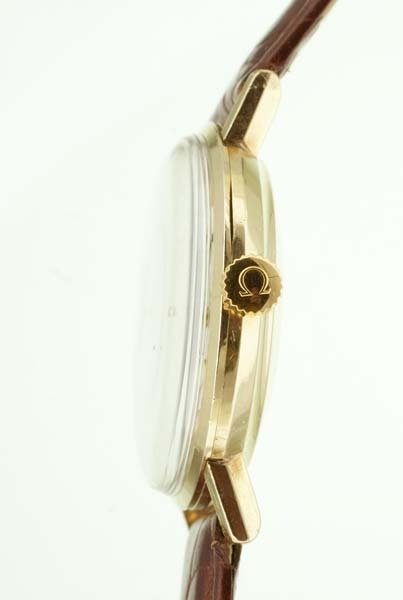 The case measures 34.5 mm wide by 42 mm long. 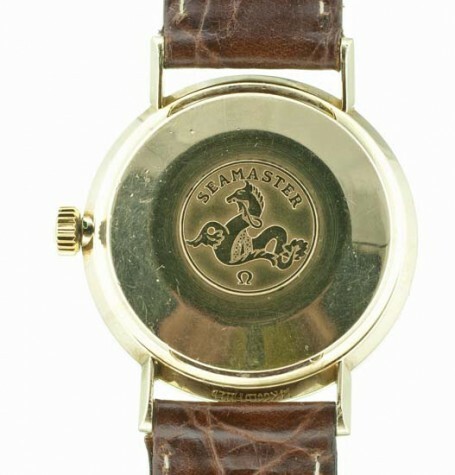 The buyer has a choice of black or brown leather straps.